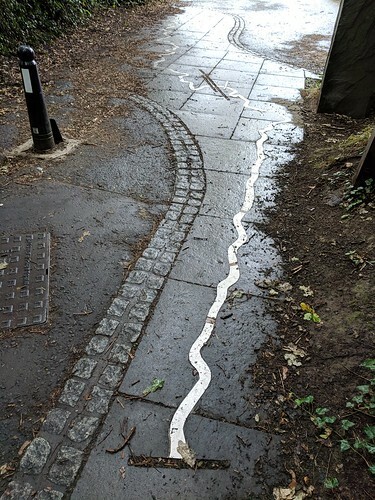 I’ve been cycling on the paths by the Water of Leith for as long as I can remember – and before you ask, no, I never use a bell. I say excuse me, thank you, good morning. I smile, I nod, I engage. I slow down for pedestrians and animals alike. I’m not one of those arrogant people who “tings” their bell and just keeps going at the same speed expecting everyone else to get out of my way. Now that’s over, let’s get back to why I’m writing this. The Water of Leith is always surprising, at times it’s a little oasis in the middle of Edinburgh, and some of the paths are always a welcome sight at the start of a day before work. That’s how I’ve most known it, through cycling parts of it to work and back. 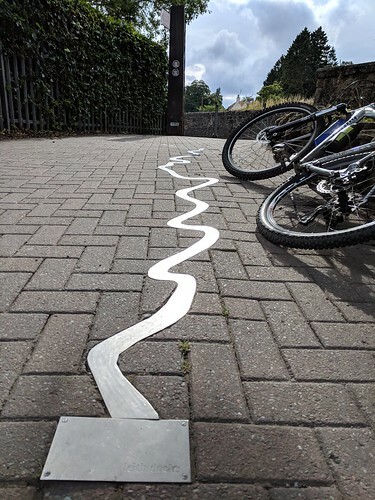 It’s only recently that I cycled to one of the endpoints of the Water of Leith, and that’s when I discovered a little garden to one of its key architects, and some interesting sculptures and markers. 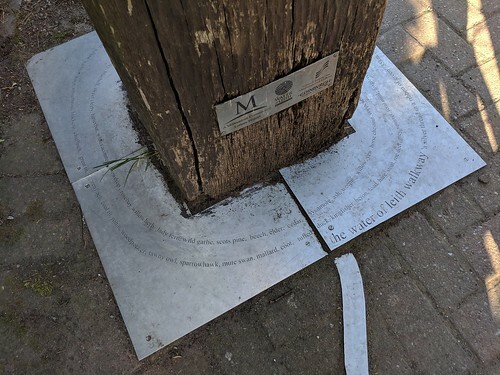 When you get to the very beginning of the Water of Leith path, or the end depending on where you think it starts, you see a tall wooden marker at the crossing of the path and Bridge Road. Here’s a map to show where. Notice the break in the middle of the track. Is that representing the break by Lanark Road? My next task is to cycle to the other end and see if there’s another there, or more on the way.